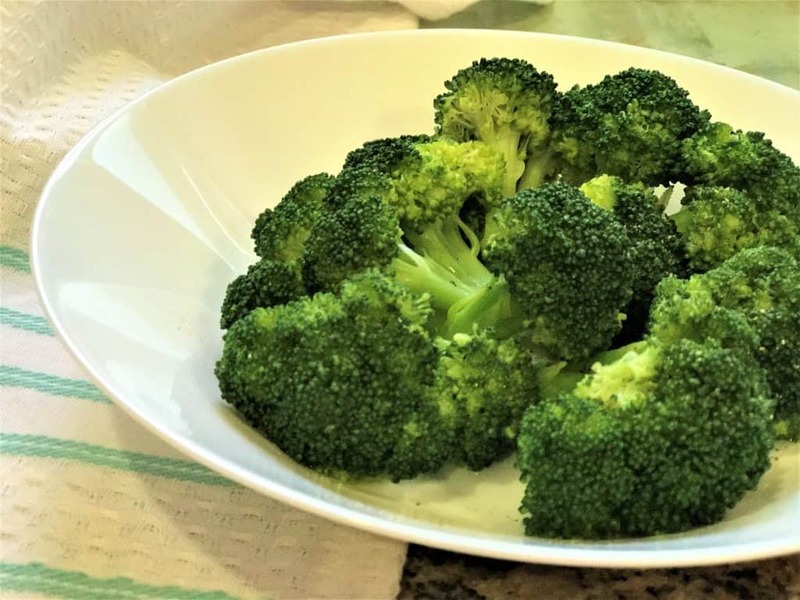 Super easy Instant Pot Steamed Broccoli recipe ready in less than 10 minutes. I call this amazing as my daughter who did not eat sauteed broccoli, started eating it after I steamed it in the Instant Pot. 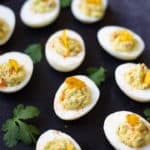 This is a great side to eat with some rice or protein. I try to add veggies to our diet where ever possible. This steamed broccoli is a great and quick way to cook up broccoli. Steaming is also the recommended cooking method for broccoli as it helps with better retention of nutrients. You want to steam broccoli such that it does not lose it’s color or flavor, and does not get too soft and mushy! 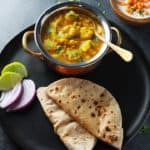 Check out other Instant Pot Basics recipes – Steamed Carrots, Cooking Chickpeas, Cooking Beets, Boiling Potatoes and Homemade Yogurt. Why Broccoli and Why Steamed Broccoli? Firstly, it is tasty. I love broccoli as a side along with my meal. Other than that, broccoli has great nutritional benefits. Broccoli, part of the Brassica family, is considered a cruciferous vegetable. Broccoli is known for its antioxidant, anti-inflammatory, and pro-detoxification capabilities, which have disease fighting capabilities. Broccoli is a nutritional powerhouse, rich in vitamins, minerals, and dietary fiber. Broccoli is also low in fat, saturated fat and cholesterol. A 1/2-cup portion of steamed broccoli contains 31 calories, 6 g of carbohydrates, 3 g of protein and no fat. Because it has such little fat, carbohydrates and calories, broccoli is often considered a free food, which means you can consume an unlimited amount of it and not feel guilty. Isn’t that great? Broccoli is most nutritious when eaten raw, however I am not a big fan of eating raw broccoli. If you cook it, the cooking method will determine how much of the broccoli’s nutrient content is maintained. The next best is quick-steaming broccoli, so that is what we are going to do here. 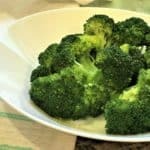 How to cook Steamed Broccoli in Instant Pot / Pressure Cooker? 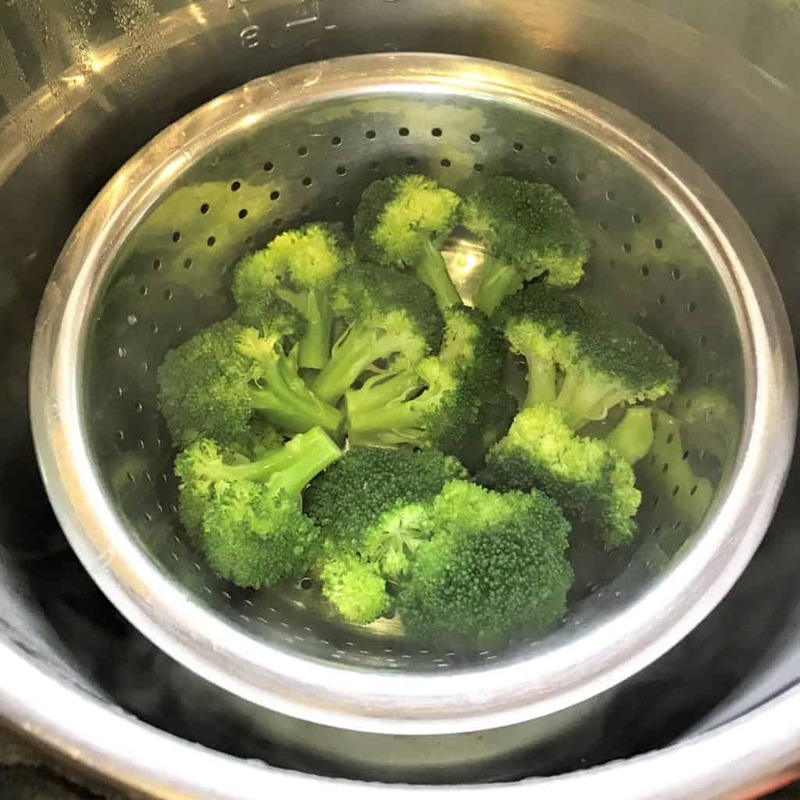 The best way to steam broccoli in the Pressure Cooker is by using a Steamer Basket. I just found a steamer basket in my kitchen which fit perfectly in the instant pot, so I did not purchase one. However if you are looking to purchase a steamer rack, here is a recommended one on Amazon. Start with cutting the broccoli head into medium size florets. Add a cup of water to the instant pot insert and place the steamer basket in the insert. Spread the broccoli florets on the basket and pressure cook for 0 minutes. Yes, 0 minutes is a thing with the instant pot 🙂 The broccoli is cooking in the time the pressure cooker takes to come to pressure and then we will release the pressure manually (QR), so it does not get overcooked. Basically the time to cook broccoli is the time it takes to come to pressure, which is less than 10 minutes. Season with salt and pepper, and serve as a side with rice or protein. I send this as a side in my daughter’s lunch box and she loves it. I would love to hear how you like this steamed broccoli. And if you love broccoli, don’t forget to try this Cream of Broccoli Soup made in the Instant Pot. You can find the recipe for the brown rice shown in the above picture here. Perfectly steamed broccoli in minutes in the pressure cooker. Wash the broccoli and cut it into equal large size florets. 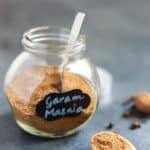 Add water to the instant pot insert. Place the steamer basket in the instant pot insert. Spread the broccoli florets on the steamer basket. When the instant pot beeps, quick release the pressure manually. Remove the steamer basket carefully as it is hot. You can place this basket under cold water for a minute to stop the cooking (optional) or just eat the broccoli right away. Season with salt, pepper and enjoy. If you are serving a crowd and what to do 2 heads do you need more time at pressure or still zero time and QR? Hey Sam – The same cooking time will work even if you increase the quantity. The instant pot will just take longer to come to pressure. Perfect! Low pressure for zero minutes. A delicate crunch and my 82 year husband with dentures was quite pleased! Hey Carol – So happy to hear you and your husband enjoyed the steamed broccoli. Thank you for sharing back your review! I just wanted to thank you!! 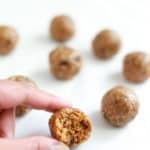 your blog has some basic Instapot tips also which helps a tonn!!! <3 thank you once again!! I would be trying this soon!! Hey Sakshi – Glad to hear that you are finding the blog helpful. 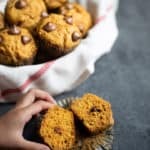 I would love to hear if you try any recipes and have any feedback. Thanks! Just tried this and the broccoli came out perfect! Thank you for sharing! Hey Angela – So glad to hear the broccoli was perfectly cooked. Thanks for sharing back your review! Followed the instructions and now I have cream of broccoli! I don’t think you are supposed to pressure cook broccoli. Sorry to hear, Dilip. I wonder if you cut the broccoli florets to medium large size and if the pressure was released immediately? 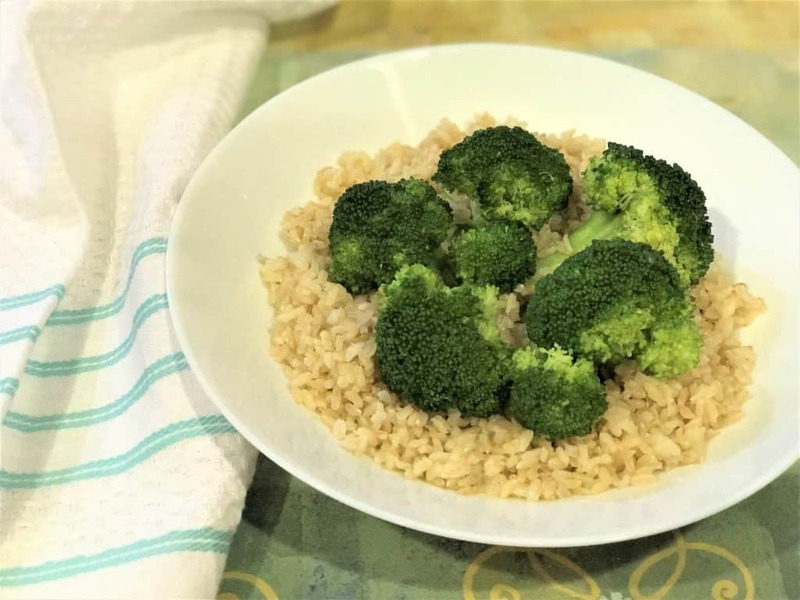 Many readers have had good experience with this 0 mins of cooking time for broccoli. You can also try low pressure for 0 minutes if you think that would help. Am new to instant pot. Mine is mini so only have solid insert with no basket. Now am unsure how to cook this broccoli recipe w/o putting broccoli directly in water. Help? Hey – The instant pot typically does not come with the steamer basket. You can buy one from Amazon or any store that fits in the pot. You could also try with using any steel utensil to keep the broccoli. Hope that helps! In my Instant Pot at high pressure, the broccoli loses its color and is too mushy for my taste. However, the low pressure setting is just about right. There is literally no preparation involved. Thanks for the tip. Hey Bob – Low pressure works great for broccoli. Glad you enjoyed it! Glad to hear. Thanks for sharing back your review, Preethi! This is great info. I would like to add carrots. How long do ypu steam carrots? I’m brand new to my Instant Pot, and had no idea about the zero cooking time, so thank you for that. I followed your instructions so wondering if a.) it is my elevation (in the mountains at 7400′ above sea level, but my pot has an elevation setting so it knows where I am) or b.) if I messed up the quick release. The Ultra 10-in-1 has a button to press to release the pressure, but it still releases very slowly. If I press and hold, it is much quicker. Am I supposed to press and hold? I love al dente broccoli and do want to give this another go.